These wonderful reptiles have had a banner hatching season this spring! 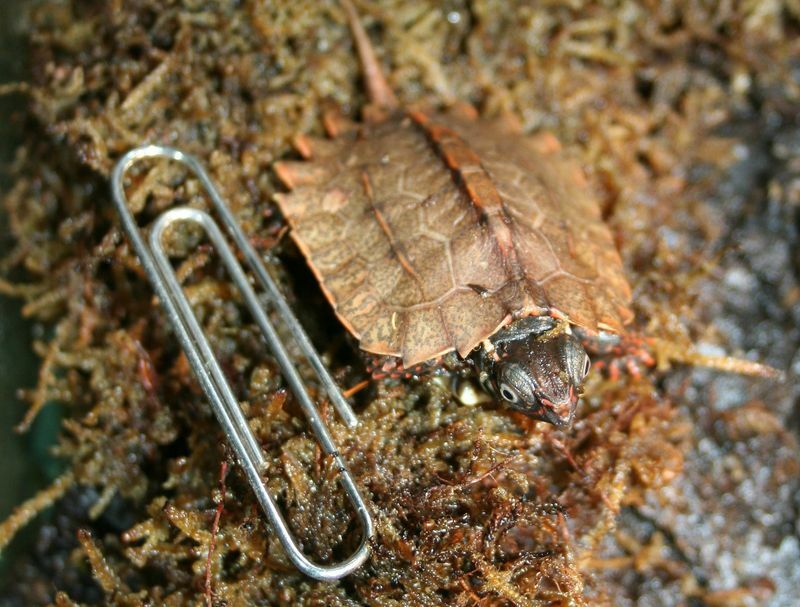 First, Adelaide Zoo in Australia announced the hatching of four critically endangered West Swamp Turtles. Native to Western Australia, this species inhabits freshwater swamps that fill during the rainy season but evaporate in the summer heat. As such, the turtle enter a dormant stage called aestivation when the heat hits and are only active when the swamps are full. This leaves the turtles vulnerable to predation by man and animal. Fortunately, the government made their two remaining habitats protected nature reserves and, slowly, their numbers are growing. The zoo intends to release the turtles in the reserves when they reach maturity making them numbers 201, 202, 203, and 204 in the wild. 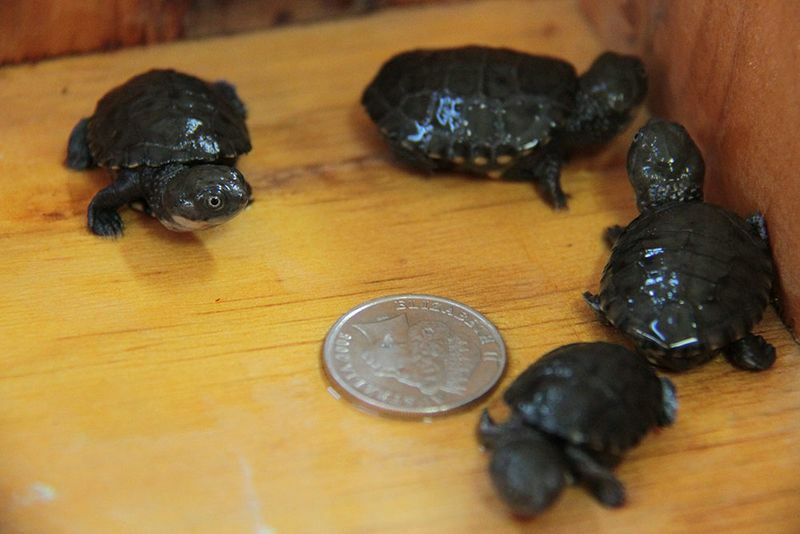 Additionally, Fort Wayne Children’s Zoo announced the hatching of a Black-breasted Leaf Turtle. This species has become endangered due to habitat destruction and over hunting in their native South Asian habitat. Though this turtle species averages a twenty-year life span, they only grow to five inches in length. 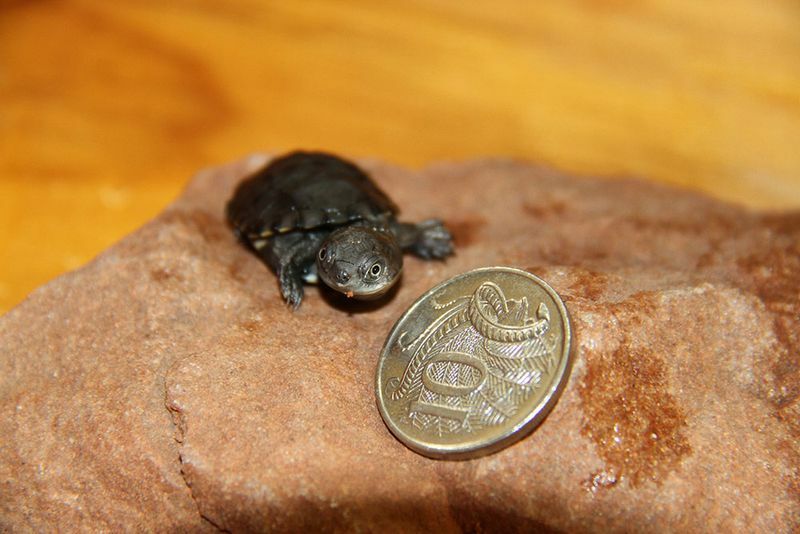 This makes them “one of the smallest turtles in the world” according to ZooBorns. Read more at ZooBorns here and here.